This week it was my youngest son Alex’s 9th birthday, I can’t believe my baby has turned 9. So exciting to watch them grow, but I wish I could slow it down just a little!!!!!! I remember when I had my first son Aden and so many people said to me, enjoy every second because it will be gone before you know it, man they weren’t kidding…………….. So of course birthday means, birthday cake. 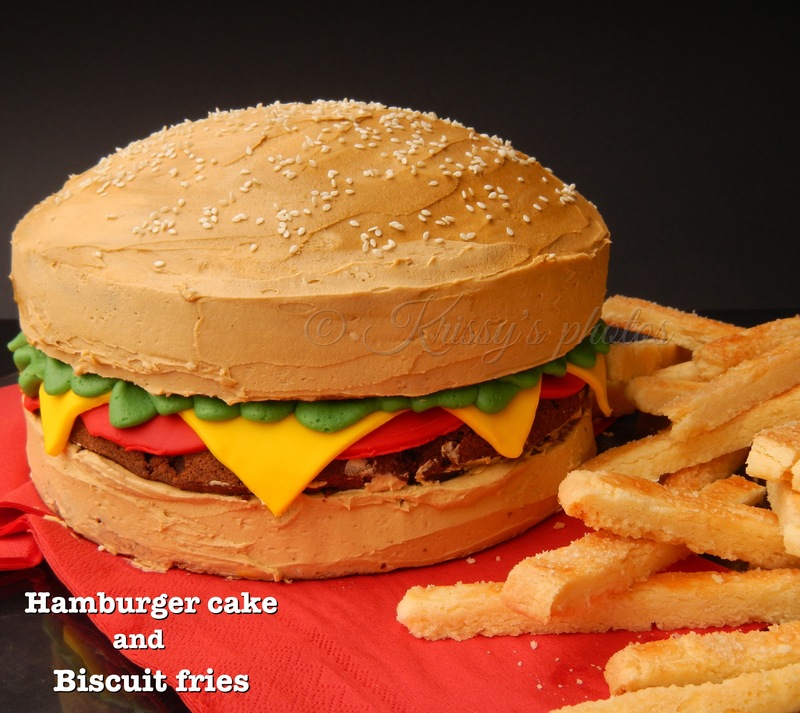 I love making the kids birthday cakes some years they pick what they want and other years I surprise them. 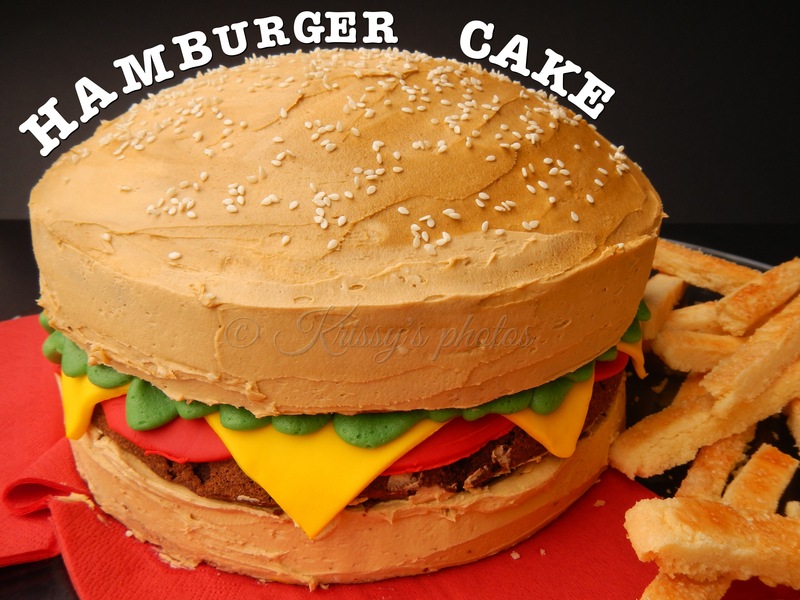 This year it was a surprise for Alex, one of Alex’s favourite foods is hamburgers, and I have seen some great hamburger cakes on the internet, So it was a hamburger cake and biscuit fries for Alex this year. The look on his face when he saw his cake was priceless, that look alone was enough for all the hours I spent baking and decorating. Big eyes, a big smile and a big hug what else could a mum possibly ask for. 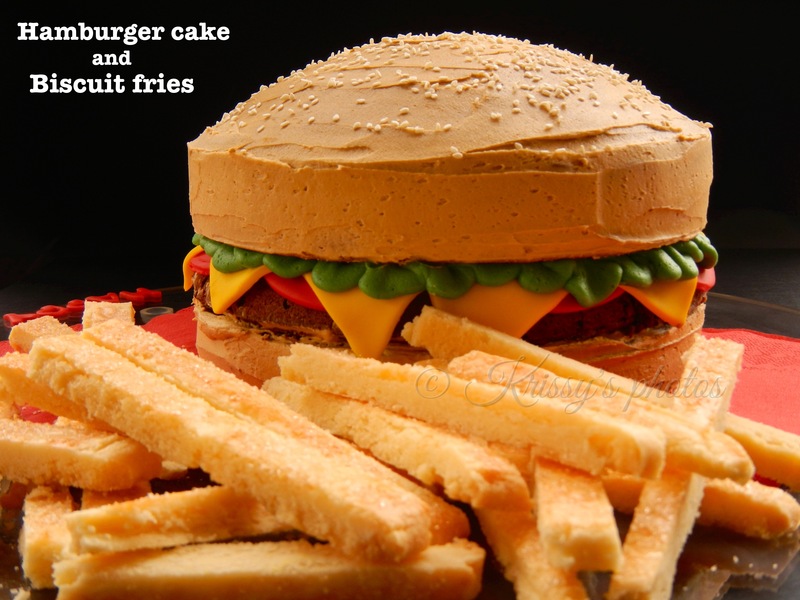 I didn’t really follow a recipe to create this cake, I basically made two butter cakes and one chocolate cake, the chocolate cake being for the meat patty. I used plastic icing, red for the tomatoes cut into circles and yellow for the cheese, cut into squares. For the lettuce I used butter cream coloured green, which I piped on. 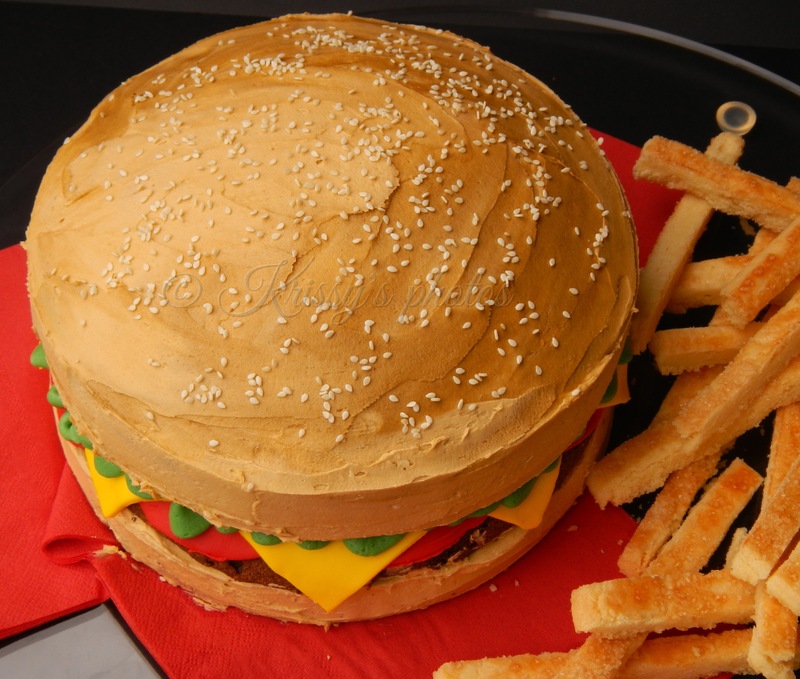 I then covered the butter cake in a light brown icing to make the burger roll I had two shades of the brown butter cream to add some depth. once iced I sprinkled with sesame seeds. To make the biscuit fries, I made a simple short bread which I rolled out into squares and then scored in some straight lines the width I wanted my fries to be. I brushed with egg white and sprinkled with raw sugar, then baked. 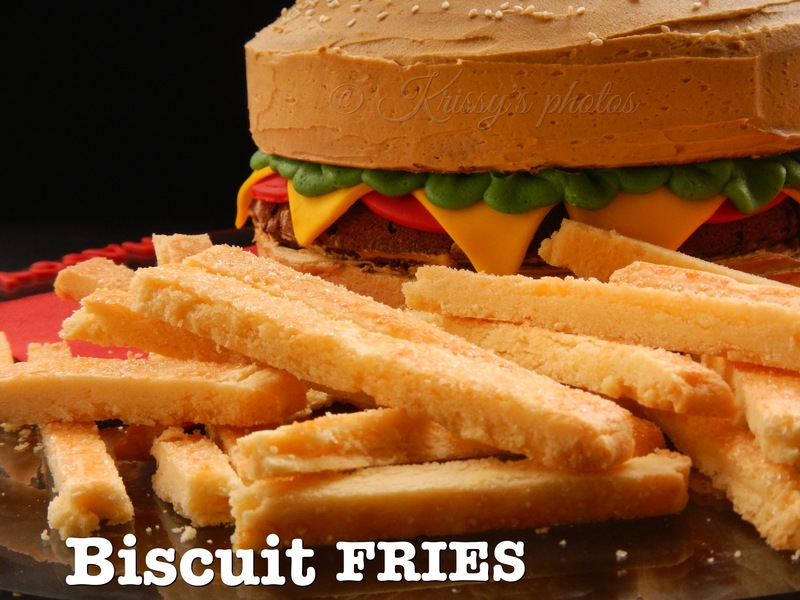 Once cooled I cut along the score lines to create my fries. Anzac Day, the 25th of April is one of Australia‘s most Important occasions. It marks the anniversary of the first major military action fought by Australian and New Zealand forces during World War I. Australian and New Zealand forces landed in Gallipoli on the 25th April 1915, where they battled Turkey for eight long months. Both sides suffered heavy casualties and endured great hardships. Over 8000 Australian soldiers were killed during this time. Anzac day has become a day where we as Australians and New Zealanders remember the sacrifices of those brave men who fought and died for our country in war; LEST WE FORGET. 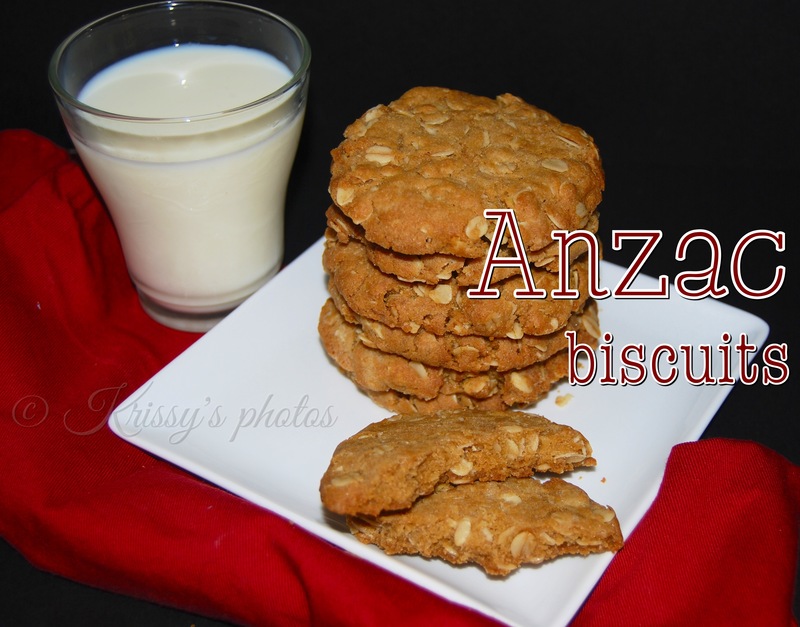 ANZAC biscuits today are a derivative of the biscuits that Women on the home-front sent to our men in care packages during the war. 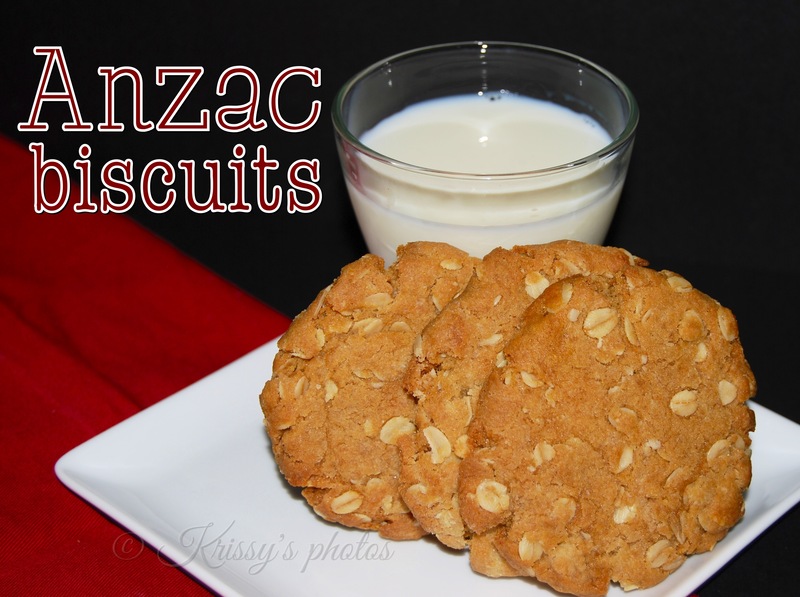 ANZAC biscuits have become and iconic tradition and a reminder of the ANZAC legacy and a recipe passed down through the generations, a symbol and a reminder of our great brave men who fought for our country; WE WILL REMEMBER THEM. Today is a very important day, a day of remembrance and thanks a day to pass down to younger generations, what our great men and women scarficed for our country and our freedom.